We hear a lot about how the B2B sales process has changed. From push to pull, from outbound to inbound, from talking to a live person to receiving automated marketing replies …. The funnel looks a lot different now than it did 10, or five, or even two years ago. Today’s prospects have done the research, and they’ve checked out the technology, the industry, the competition … in many cases they know almost as much as your sales reps. The marketer’s role looks a lot different too. Ten years ago, you’d arm your sales reps with a brochure, support them with a trade show and a print ad or two, and let them get to work. Today, your social media program and your website are often the most prominent parts of your sales strategy. In some ways, it means that sales has handed off a larger part of the responsibility for sales activities to marketing. All of the introductory interactions – where sales used to initiate relationships, and distribute information – is now in the purview of the world wide web, and as a result resides in the marketer’s portfolio. And for both sales and marketing, this is a good thing. For sales, it means that when a prospect moves through the funnel and is ready to make contact with a live person, they’re already self-qualified. They’ve done a lot of the work for you. They’ve articulated a need, they’ve looked for answers, and they’ve started to identify the industry and thought leaders. They may even have started to identify specific providers and solutions. At this point, they’re primed and ready for your sales experts to help them expand their knowledge, and present your company’s solutions as the best fit for their needs. The sales process is streamlined and energized, with all touchpoints leading to a point of contact that offers high value to the prospect. But for this to work, it means that all the touchpoints along the way have to be perfectly synchronized, so that your prospects flow seamlessly through the funnel, landing effortlessly at the point of contact with your sales reps.
How do you create such a seamless customer journey? In order to craft such a masterpiece, you have to work very closely with sales. This is one of the biggest changes to the new way of selling. If you don’t have a strong connection and alignment between marketing and sales, this just doesn’t work. If your social strategy and website don’t actually support the way your customers think and behave, they won’t get to the point of connection you’ve planned. They’ll get stuck somewhere in your funnel and bail out, and you’ll never hear from them again. So how do you ensure that you build the most valuable customer journey for your prospects, one that will steer them right up to your reps? It’s pretty simple. You just need to involve the experts – your own sales reps. They need to participate in the development of every digital initiative you undertake. From organizing your website to buying and building out a marketing automation solution, you need lots of input and feedback from sales, to ensure that your activities are aligned and on track. Expectations for sales reps have also changed significantly. Today, salespeople really do need to be experts – on their own solutions, their competitors’ solutions, their customers’ industries, and even the economy as it impacts all of the above. So while a lot of the low-value interactions at the top of the funnel are no longer part of their day-to-day responsibilities, your reps have to be ready to serve as business consultants as well as specialists in the specific solution they sell. And maybe that’s where support from marketing can help – you’re likely the best person to supply them with a steady stream of information on industry issues and trends. 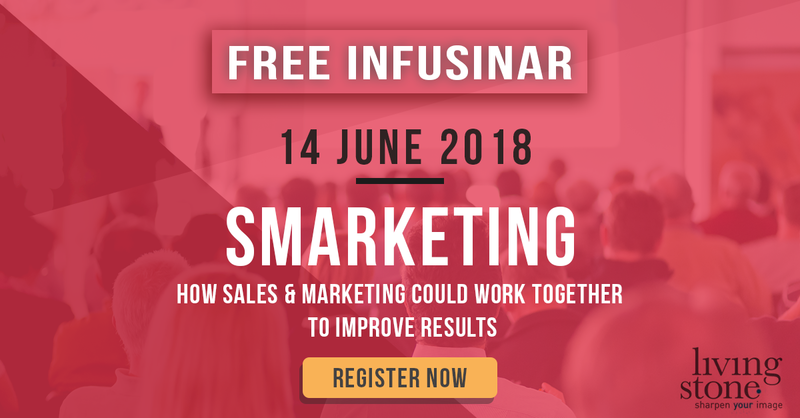 Join Gunther Walravens and Anne-Mie Vansteelant at “SMARKETING – How sales & marketing could work together to improve results”. During this session you will learn how a strong collaboration between sales and marketing can help your organization.